The Multistar XXL-2 is a pure 2-fraction star screen built for high-volume mulch, soil and compost producers. The XXL-2 delivers maximum performance with its large hopper and active metering drum producing up to 525 yd³/hr of throughput. 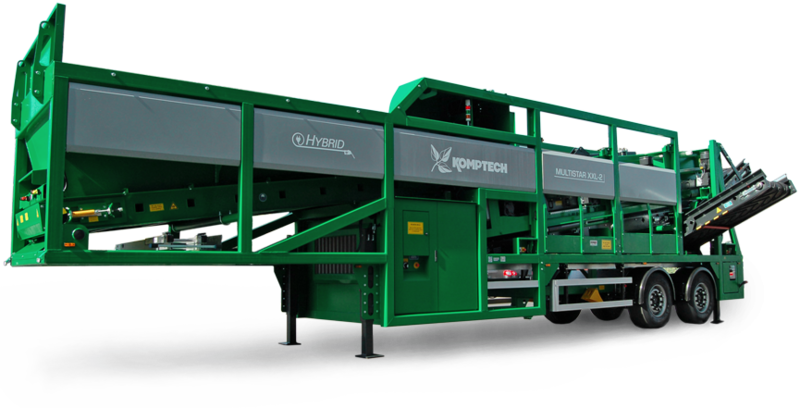 The XXL-2 enables mulch producers to skip double grinding their materials in high speed grinders by efficiently screening up to 80% of finished mulch product in a single pass. 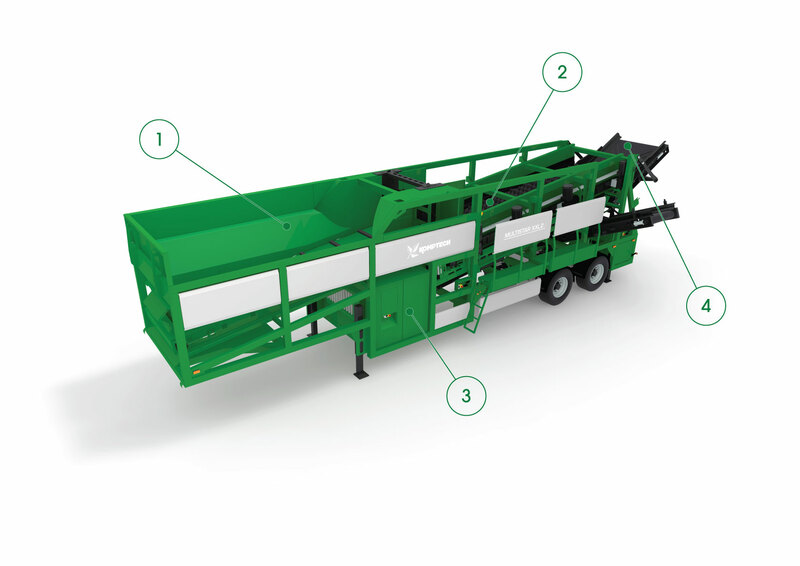 By eliminating double grinding, mulch producers enjoy added savings in fuel costs, excessive grinder wear costs, colorant costs and trucking expenses. Extra large 13 yd3 hopper with active metering drum provides up to 525 yd³/hr of throughput that keeps up with any grinder or front end loader. Gain flexibility and efficiency with the quick-change screen deck that allows you to swap to different sized decks in under and hour. Reduce handling costs by running stacking conveyors and powering them directly from the Multistar XXL-2. Quickly and easily change the output product size in seconds from 1/2” to 3” minus depending on your needs. HAVE A QUESTION ABOUT THE MULTISTAR XXL-2?